Tree fungus is an unsightly tree condition that causes discolorations, abnormal growth patterns and abscesses on certain trees. Tree fungus can sicken a tree and even kill it. This can be prevented by killing the fungus that is hurting the tree. You can kill tree fungus by dousing the affected area with a solution of Clorox bleach and water. Clorox kills off germs, fungi and microbes. Fill a bucket with 1 quart of water. Pour 1 cup of Clorox bleach into the water and mix it well with a long-handled spoon. 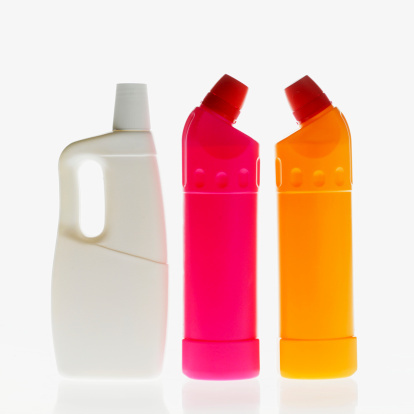 Take the top off a spray bottle and place a funnel into the bottle. Pour the bleach-water mix into the bottle through the funnel until it is full. Screw the top back onto the bottle. Spray the area of the tree affected by the fungus thoroughly. Allow the Clorox-water solution to dry onto the tree. The bleach water will kill the unwanted fungus but will not harm the tree. Repeat as necessary up to three times per day until the fungus has been eliminated.